This "must have" bracelet makes the perfect gift to remember a visit to Norman Rockwell Museum and the town of Stockbridge. 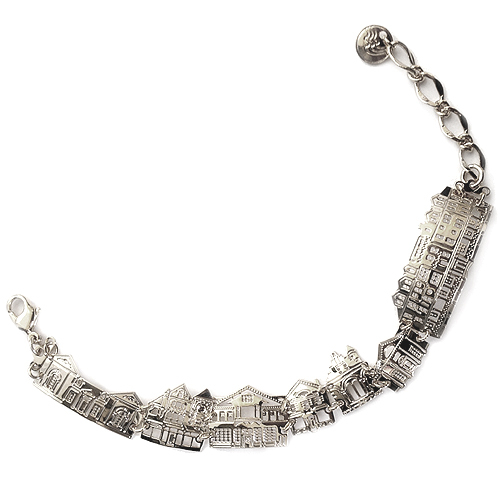 Each building on the bracelet is copied exactly from the famous Rockwell painting Stockbridge Main Street at Christmas. The bracelet measures 6" long with adjustable lobster claw clasp and extends to 8". Made with tarnish resistant rhodium plate over brass. A Norman Rockwell Museum exclusive!